I grew up and worked on my family’s four-generation commercial cow-calf operation in the Nebraska Sandhills. We also raised and showed Quarter Horses, retained ownership of our steers in the ranch feedlot, and grew crops including alfalfa, grass hay, corn, sorghum, oats, etc. Later, I worked on a ranch near Miles City, Montana. For the past 18 years, my husband, Morgan Renner, and I have lived and worked on our ranch along the Wood River near Meeteetse. I served on the board of directors of the Wyoming Stock Growers Association and worked for Guardians of the Range, a non-profit that works to ensure multiple use of public lands. For 13 years, I worked as field editor for the Wyoming Livestock Roundup, researching and writing about agriculture issues and ranch histories. Through that experience, and having worked for a local attorney for nearly four years, I understand just how important details can be. I also co-owned and operated a commercial retail and manufacturing business in Cody, as well as other small businesses. Having grown up on a ranch, I learned the value of hard work at a young age. I will work hard for you. I advocate for my clients and take very seriously the trust they place in me. Clients receive added value at every turn with personal attention, hard work, professionalism and strong attention to detail. As a result of my professionalism and the high quality of service I offer my clients, I maintain a strong referral base. Clients receive an exceptional level of personal attention, including frequent communication. Properties are marketed with the latest online tools, including various websites and social media, as well as more traditional media to best suit the property. I live on the Renner family ranch on the Wood River near Meeteetse, and have resided in the Cody / Meeteetse area for over 20 years. When not making new friends in real estate, I enjoy riding horses, working on the ranch, genealogy, traveling and reading. I especially love the grandeur and peacefulness of living in Cody Country. I’m a member of the National Association of Realtors, Wyoming Association of Realtors, Northwest Wyoming Board of Realtors, Wyoming Stock Growers Association, Wyoming Historical Society and Park County Historical Society. My goal is to make every client a client for life in residential, ranch/farm and commercial properties. 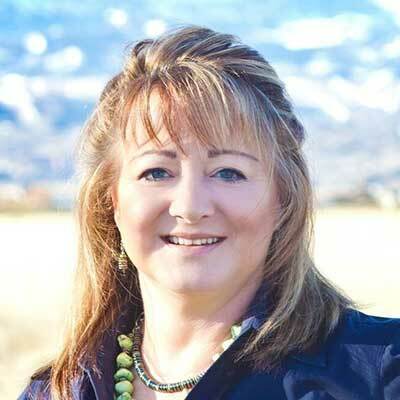 Let me, Echo Renner, Cody Wyoming Realtor® help with your real estate needs in Northwest Wyoming.